The government of president Salvador Sanchez Ceren has introduced a bill to add a 10% tax to all cell phone, internet service and cable bills to pay for increased public security efforts. The proposal is widely unpopular and is only supported by the FMLN in the National Assembly. A decision by the country's telecommunications regulator SIGET to lower rates which phone companies could charge by 13% and which would offset the cost of the tax on phone service (and essentially transfer the tax to the phone companies), has not changed the public's view. The FMLN is introducing another bill in the legislature which would raise the penalties for tax evasion in the country, but it is not clear how much money this measure would raise. El Salvador has long been challenged by low levels of tax compliance. Mr. Amaya said he spent seven years in the gang before he joined an evangelical church and was allowed to leave. He began working at the League plant two years ago. There, his boss, Mr. Bolaños, brims with ideas: “Our goal is to get people back in society, get them back on track,” he said. El Salvador has minimum wage laws which vary depending on the area of the economy. Minimums in the agricultural sector are significantly lower than urban employment. It is also important to recognize that these wages only apply to people in a formal employment relationship; the significant percentage of Salvadorans in the informal economy do not have any guarantees. Minimum wages are calculated on an 8 hour day and a 44 hour work week. 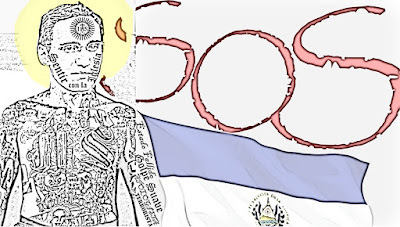 Happy Independence Day El Salvador! 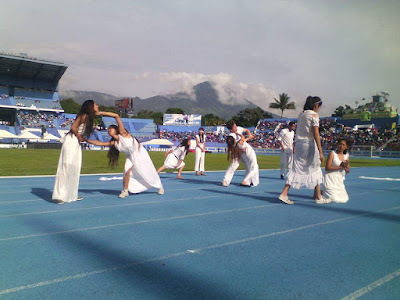 El Salvador celebrates September 15 Independence Day with a variety of parades, civic events, and military displays. The naming of the celestial body, formerly known as “13703 (1998 OR13)” (based on the year of its discovery), for Romero was quietly announced at the end of last month by the Committee on Small Body Nomenclature of the International Astronomical Union in a publication called a Minor Planet Circular, dated August 29. A page on the website of NASA’s Jet Propulsion Laboratory confirms that 13703 Romero was named for Archbishop Romero. Romero was beatified earlier this year by the Roman Catholic church. The international arbitration between the government of El Salvador and Australian mining company OceanaGold continues to wait for a decision. (OceanaGold bought the company formerly known as Pac-Rim). It is now a year since the arbitration hearing took place in September 2014 before a panel of arbitrators at the International Centre for the Settlement of Investment Disputes. This week Lynn Holland at the Council on Hemispheric Affairs published an excellent summary of the moratorium on gold mining in El Salvador and the resulting arbitration titled For the Love of Water: The Ban on Mining in El Salvador. At elsalvador.com right now they have a special section devoted to Salvadoran artist Fernando Llort. It's a great collection of images from the artists' life and work. Go to the site and enjoy. The image above is from the Facebook page of the Fernando Llort Foundation which is a good spot to find out what Fernando Llort is up to today. A banner in the midst of the crosses proclaimed "We are the 895 dead in August. How many more must there be before they do something?" Partisans on the left were outraged at what they saw as an attack on the government's efforts at confronting the gang problem. Municipal employees from the city of San Salvador soon arrived to clear away the crosses. This time a banner said "In honor of the founder of the party that created, permitted and let grow the gangs who kill us today." The month of August 2015 has closed as the most violent since the end of the civil war in 1992. There were 911 homicides, a staggering number which exceeded the prior record of 670 set in June of this year, according to the Institute of Legal Medicine ("IML" for its initials in Spanish), which is a branch of El Salvador's Supreme Court. There were 911 homicides. 565 more homicides than in August 2014. So many that the IML is running out of body bags. Victims were young 53.4% between ages 15-30, more than 76% younger than 40, more than 10% of the victims (93 deaths) were ages 15-17. The departments with the highest murder rates per 100,000 residents were Cuscatlan and Usulutan, while the department of San Salvador had the highest total number of murders with 311. The following post was written by Carlos at the Super Martyrio blog, dedicated to all things Romero, and first published there. Used here by permission.